Oh dear Reader, I could really do with a bit of cheering this week. More on that in a mo but suffice to say that things have been rather hectic of late at Margot and Jerry HQ. Celebrating reaching halfway to 70 (let’s gloss over that one fairly quickly) was top of the list, shortly followed by some pretty amazing birthday presents from Jerry and the girls. What could be better than a bottle of my favourite gin, a bottle of Pol, a jolly green handbag and A PIG?!!!! Yes that’s right, dear Reader. Jerry bought me a PIG, just a few weeks’ old, for my birthday. 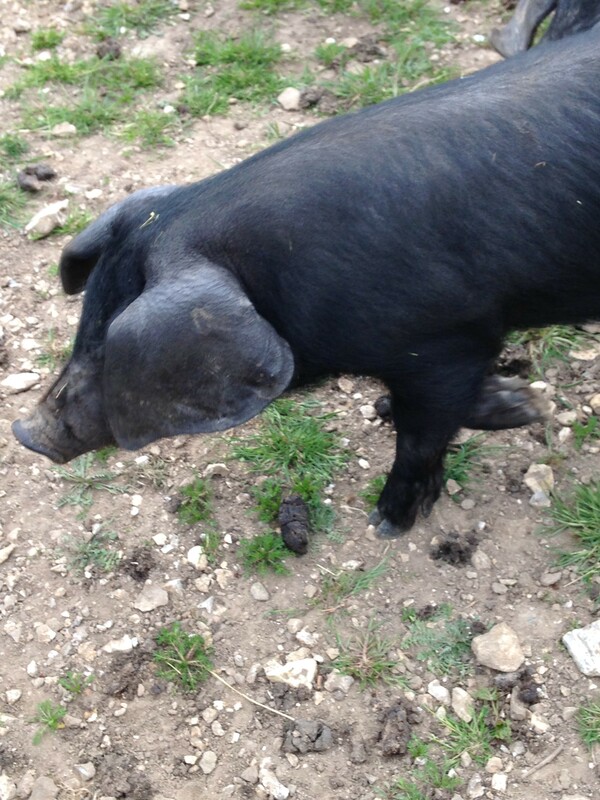 A gorgeous Large Black with inquisitive snout, floppy ears and a penchant for pig nuts. It was pretty tricky to tell who was squealing more, when we first clapped eyes on each other! Although, I’m not sure that the dear little piggy will be squealing with excitement quite so much once he’s realised that he will be salami come the autumn…..
Having promised that we wouldn’t name any more animals we intended to eat, Primrose and Poppy promptly dubbed our teeny little porker, Cumberland. After the sausage. Obviously. I suppose if you going to name an animal you’re going to eat, it might as well be a foodie name. Names aside, there is another little snag with this whole piggy thing….this little piggy doesn’t actually live with us. Nor does he even live in our neighbour’s field like the lambs did. Essentially Cumberland is at boarding school. 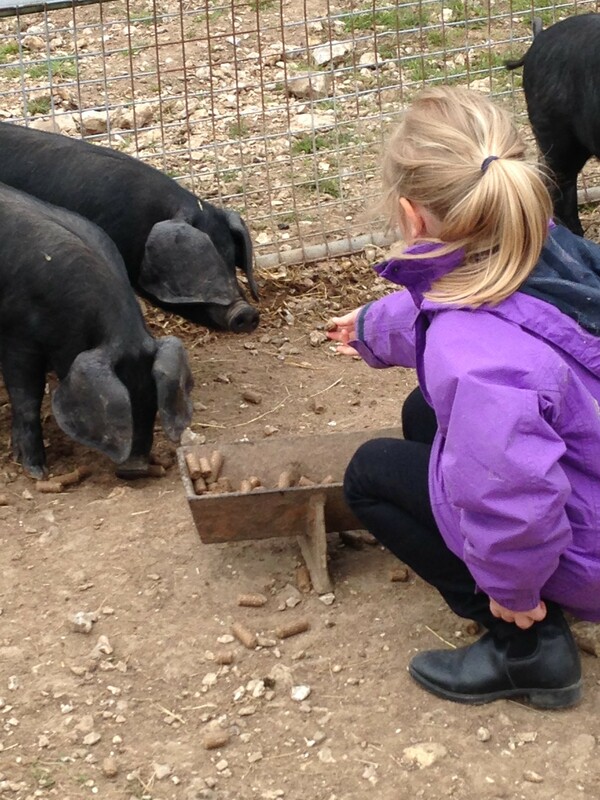 I know dear Reader and yes, you did read that correctly…we now have a pig at boarding school. The lovely John and Sarah Mills took pity on me and my dreams of being a pig farmer and offered for me to adopt one of their pigs, taking it from weaner all the way through to slaughter and beyond. 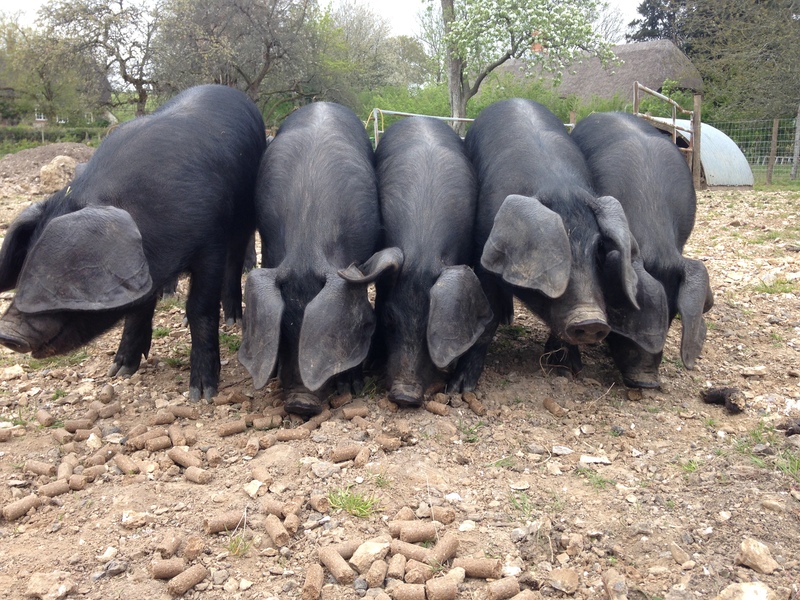 So Cumberland will live with his brothers (Lincolnshire, Merguez, Chorizo…..I could go on) up at Parsonage Farm, home of delicious Hampshire charcuterie for the duration of his fattening up period. 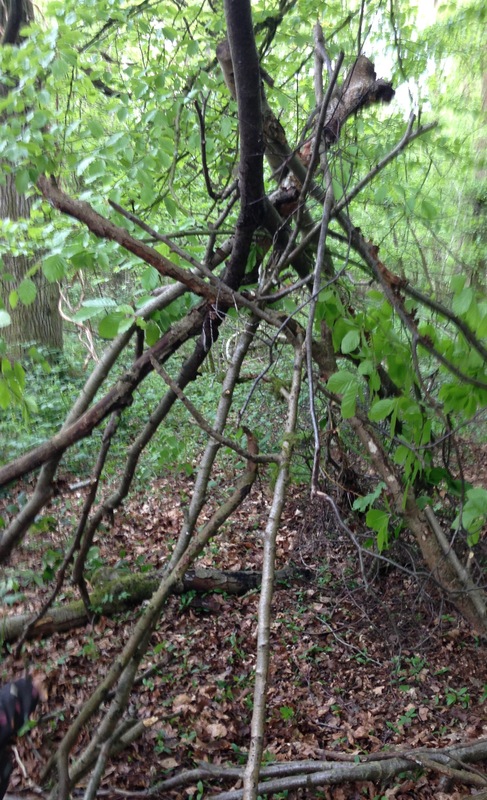 Since Jerry and I haven’t suddenly inherited a large estate or managed to persuade any of our other neighbours to part with some land for us to rent, this seemed a very good option for now. Although, we won’t be able to be that hands-on with Cumberland, this is the very best in next best scenarios and at least we can go and visit him regularly. When abattoir day comes, I will then pop over to practise my newly found butchery skills and hopefully persuade John and Sarah to let me air-dry some ham over in their cabinets. A little bit sad that I won’t get to use my new Pig Haynes Manual but a good learning experience all the same until I can have a couple of weaners in the garden…..don’t tell Jerry, dear Reader! It wasn’t so long ago, that I persuaded him to move all his stuff out of the shed so I could house the lambs temporarily whilst I was still doing their night feeds! I’m only hoping that he didn’t notice how much damage the piggies had made of a grassy patch in just two days down at John and Sarah’s! From pig fever to fever of a whole other kind. With birthday celebrations over (and hangovers overcome), our little Poppy, with her habit of catching the more rare and unpleasant childhood illnesses, ended up joining more than a handful of Victorian poets and half the population of a workhouse too as she caught scarlet fever. Never a good moment when the GP has to Google for a diagnosis but there it was in black and white, or rather scarlet spots, scarlet fever. Always a worry when it’s on the Notifiable Disease list too. Poor Poppy. Probably the worst thing she’s had and with imposed house arrest plus feeling distinctly unwell, there wasn’t even an episode of Peppa Pig that would cheer her. To add to the sickness woes, Primrose then fell ill with an ear infection and a large touch of cabin fever set in, almost resulting in me very nearly trading them both in for a dachshund puppy. A lie down in a darkened room with the Pig Haynes Manual was the only answer at that point and of course a medicinal gin. Mother’s ruin? More like Mother’s restoration, dear Reader. 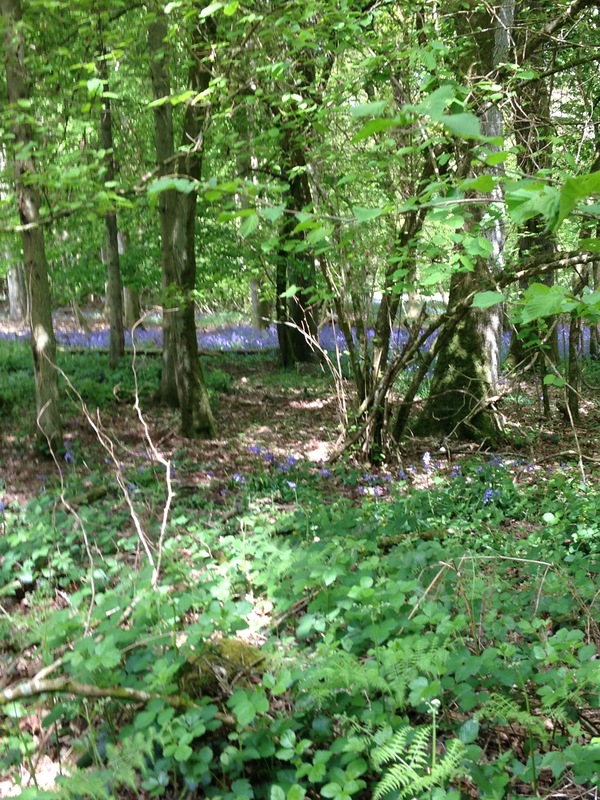 This entry was posted in Margot's Country Snippets, The Farmyard, Village Life and tagged birthday, bluebells, butchery, celebrations, charcuterie, Cumberland, den building, gin, Hampshire Charcuterie, Large Black, Mother's ruin, Parsonage Farm, pig, pig farmer, Pig Haynes Manual, piggies, Pol Roger, scarlet fever, slaughter, weaner on May 22, 2015 by admin.